Discovering new apps to use with Google’s(S GOOG) Chromecast streaming stick just got a lot easier: Google started to add a catalog of hundreds of apps capable of casting to the Chromecast website. 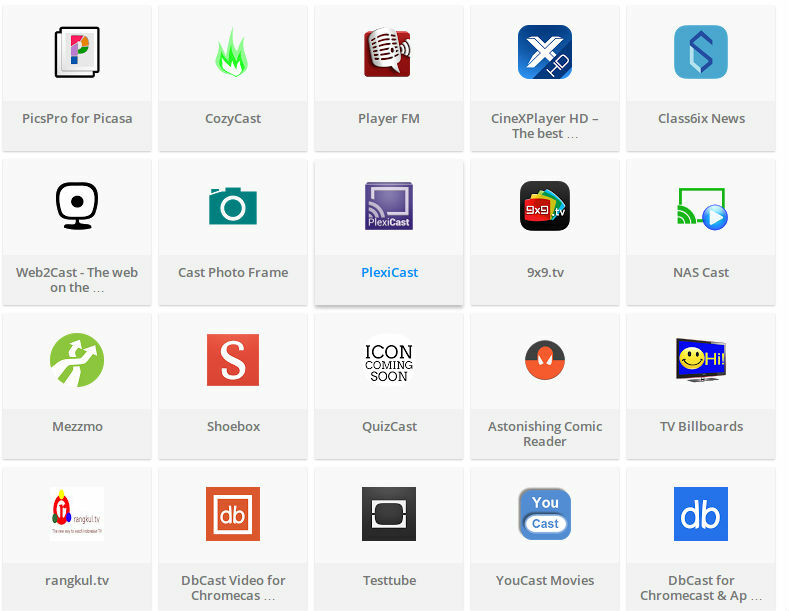 The site previously only listed a few select featured apps from major publishers, but now includes more than 400 apps, ranging from video services to games to personal media players. Also nice: The app catalog can be sorted by iOS(s aapl), Android and web apps, and then offers links to download each app either on Google Play or on the iOS App Store. Google first announced that it would make discovery of apps easier at Google I/O, where it also introduced screen mirroring for Chromecast. Riiiight. Yet, I’ve had Android phones since 2004 and I’ve never ran into this so-called “heartbleed bug”, never installed a virus protector, AND all my devices are rooted, which makes your device more vulnerable. I’m gonna call BS on that one. I can’t find Vudu in this list for iOS or Android yet I am streaming from the Vudu App on iOS right now. Also confirmed can stream from Vudu app on Android. Intentional omission or accident? The list includes other competitors so I can’t see why this is anything other than a cast ready app waiting for a list refresh. Doesn’t it cast in a browser? In any event, there’s a ton of options for casting personal content, locally stored or on-line.